Mark joined Greater Manchester Fire Service in 1978 and served for 12 years as an operational firefighter at some of the busiest fire stations in GMC. He was then promoted to Leading firefighter at Moss Side fire station then subsequently promoted to Sub Officer to Philips Park fire station in 1999. 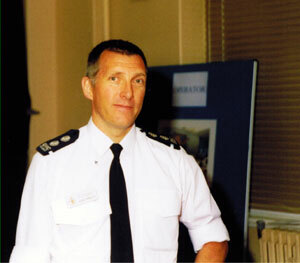 He then transferred into the Community Fire Safety (CFS) department covering all Manchester where he was promoted to Station Officer managing a team of 6 CFS officers and became responsible for developing several successful programmes that equiped operational fire fighters with the skills to effectively deliver fire safety lessons in schools. He worked with young offender institutes to reduce the impact of car crime in GMC and helped develop working partnerships between the fire service and local authority service providers, all of which are still ongoing today. Fire Service Fire Safety Modules 1-10 (Legislation and Enforcement, Prosecution, Fire Risk Assessments, Fire Alarms and Emergency Lighting, Building Regulations, Smoke Control in Shopping Centres, Fire Safety in – Commercial Buildings, High Rise Buildings, Places with Sleeping Accommodation. Cheshire, Lancashire, Merseyside, Manchester,Stockport, Trafford, Birmingham, Liverpool, Southport, Preston, Chester, Congleton, Knutsford, Macclesfield, Warrington.